At last, after a year of planning and waiting, our new build is finally about to start! Work will commence on MONDAY 12th JANUARY and, subject to the weather, is due to be completed by Whit. 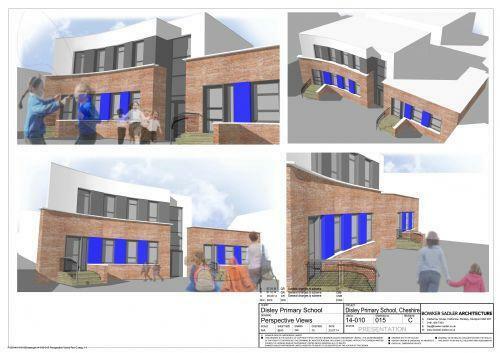 The work will involve the demolition of the existing staffroom and Music room, and the building of 2 new classrooms plus a first floor staffroom in their place. Once that is complete, the Mobile classroom will be demolished and removed from the school site. This is going to be an exciting year for Disley Primary School! Updates on the building work will be given in the monthly Newsletters.